Our today’s guest is Dean Peckenpaugh, a person who knows everything about shopping carts, search engine optimization and usability. Having worked with Volusion and 3DCart for years, he can be easily considered one of the top experts in these platforms and in eCommerce in general. 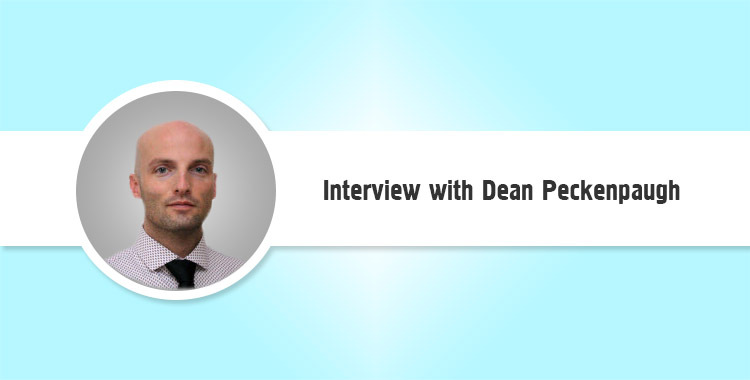 Dean kindly agreed to share his experience of working with different shopping carts, ideas about the future of ecommerce and a handful of useful tips for everyone who is thinking about switching to a new platform. 1) Dean, you’ve been working in e-commerce for quite a long time now. Please tell us a little about your experience. What platforms have you tried out and how did you end up working with Volusion and then 3DCart. I got into e-commerce back in the 1990’s when eBay started to become popular. My father owned a boat repair business so I used eBay to sell boat and motor parts. These things were entirely uninteresting to me, so I dressed up the ads and wrote a lot about each product. So in the course of trying to make a boring product seem interesting, I was actually learning the basics of user experience and product presentation on the web. Since then I have used several e-commerce platforms and plugins to sell a variety of products and services. I was introduced to Volusion in 2006 when I started a job and was tasked with overseeing the company operations. One of the first things I did when I came to Allparts a couple years later was transition the site from a legacy platform to Volusion, which worked well for us until recently - that’s when we moved to 3DCart. 2) Am I right to think that 3DCart is your Number 1 Choice? What attracts you most in this platform? Of course everyone has different needs, and every e-commerce solution is different. That said, 3DCart has earned a spot as my first choice for several reasons because of its rich feature set, high degree of customization, and reliability. 3DCart has more boxes to check and fields to fill out than any other two providers combined. That’s the kind of control and configuration I want. Some of these things were missing from Volusion during the time I used the software, but now I can get those things with 3DCart, and at a significantly lower cost too. 3) What other e-commerce solutions apart from 3DCart would you call worth paying attention to? BigCommerce has set up shop down the street from Volusion in Austin, Texas. Not only do they share the same neighborhood, but the same customer base. Bigcommerce has done a great job of positioning themselves as a Volusion alternative. Shopify has some nice features and very clean and modern templates, along with competitive bandwidth allotment offerings. They’re worth looking at as a solution for smaller stores. Lead Commerce is an up-and-coming solution provider that should be able to pull in a chunk of market share. They have a nice product currently but they’re also just out of development, and that puts them in a position of being able to consider features based on current standards and customer feedback. Keep an eye on them. 4) You mostly work with hosted solutions. Why so? What do you think about free open source carts? My preference for hosted solutions is primarily a product of my choice to work with small business owners. Most of my clients are not in a position to handle or afford a self-hosted solution like Magento, for example. Hosted solutions tend to work much better for smaller clients because technical support, customer service, security, and reliability are part of those solutions, whereas many free open source carts don’t come with those amenities. 5) Everyone’s looking for their own set of features when choosing an ecommerce solution for their store. Then what are 5 must have features for you in a perfect shopping cart? What do you think every cart must have regardless of specificity of the business? I believe that the most important thing to consider when shopping for an e-commerce solution is reliability. If your store is slow, or down, or otherwise dysfunctional, then it doesn’t matter how many features and plugins and fancy customization you have. This is the critical single characteristic that all carts need to have; product development and quality assurance needs to be a solution provider’s top priority. My recommendation to anyone shopping for a solution provider is to check that provider’s public forums, read reviews, and reach out to consultants and industry experts. Beyond that I would give consideration to design, whether it be clean and usable templates or the freedom to design product and category pages, because it’s the start of the user experience. You don’t want to be trapped in a restrictive template or CMS when the standards of look and feel are changing. A provider that changes with the times is important. Also important to me is customer segmentation, which is the ability to create customer groups and then offer different billing and payment options to them, attribute-based navigation, and an intuitive checkout page - something that customers know how to use without having to study it. Another thing to look for is a community of developers, experts, and customers from which experience and assistance can be drawn. 3DCart has a helpful community on their official public forums, while Volusion has a strong community of experts on the Convergent 7 e-commerce forums. 6) A part of our readers might be now considering switching from their current shopping carts to 3DCart. Could you share some tips for successfully accomplishing this process. What to pay attention to? What not to forget to do? What caveats and difficulties to expect? This may sound biased coming from a consultant, but my first suggestion is to seek out someone who can help you make the transition correctly and efficiently in one try. It’s often not worth the time, frustration, anxiety, and downtime to stumble through a transition on your own, especially when the new software is not yet familiar. Forums are a good starting place to find information and network with experts. I would also point out that most transitions can be facilitated by exporting data, manipulating it, and then importing that data into a new cart. When that’s not possible due to size, time, complexity, or some other limitation, a service like Cart2Cart which transfers data automatically can be a godsend; I have used it with great results. One thing that is easy to forget is to manage 301 redirects from your old page and product links to your new links. It is important to keep these links active and roadways open so your visitors can reach your store. Something everyone can do right now is to check their product images. If you haven’t properly managed your images or if you are on a legacy platform then your product images may not be named after their product codes or skus. A product with the code “ABC-1234” should be represented by an image named “ABC-1234.jpg”. Maintaining consistency with your product images will make any transition much easier. We’re extremely grateful to Dean for all these precious tips and interesting stories. Hope, you’ve enjoyed this interview as much, as we did. Have any questions to Dean or to Cart2Cart Team? Leave your comments below and we’ll be happy to answer. Note: Don’t forget that you can easily migrate to/from Volusion, 3DCart or any other solution mentioned above with Cart2Cart. Learn more or start migration right away.